Virtual Reality headsets may have room to grow, with low levels of awareness among U.S. households. In addition to lower-than-expected sales of virtual reality headsets, a new study found that levels of awareness are also low within U.S. households. The study from Parks Associates found that more than half (63%) of U.S. households say they are not familiar with or know nothing about VR. Younger generations appear to be more familiar with virtual reality, with twice as many Millennials saying they are interested in purchasing a VR headset by the end of this year. Within that age range, 12% of males said they intend to purchase a VR headset and 5% of females said the same, according to Parks. 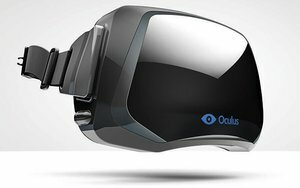 Oculus’ Rift leads the market when it comes to familiarity of virtual reality headsets. Of those who have tried virtual reality, almost all said they enjoyed the experience, while the resulting actions appear to be relatively fragmented. Almost half intend to purchase a VR headset after experiencing virtual reality, with around a third saying they enjoyed the experience, but do not plan to purchase a headset, followed by 15% who purchased a headset. Sales numbers, for PlayStation VR in particular, have been lower than initially projected, based on new numbers from SuperData Research. While initial projections called for between 1.4 million and 3 million PlayStation VR units to be shipped by the end of 2016, the actual number of units sold globally is expected to only reach about 745,000, according to SuperData. Currently, about 3.4 million households in the U.S. own a virtual reality headset, according to the Parks study.